Earlier this week I was putzing around my house in the afternoon with the TV blaring to keep me company and ABC’s show The Doctors came on. I’ve always put this show, perhaps mistakenly, in the same category as Dr. Oz, mainly because these types of shows come off, to me anyway, as generally somewhat annoying, dumbed down and clearly targeted to a demographic of which I am not a part (so I’d like to hope, anyway). I didn’t pay much attention to it until a segment begin to air about glyphosate, the most commonly used herbicide used worldwide (see videos below). My first thought was, oh, here we go, more Roundup slamming, more Monsanto bashing. More hysteria. More fear. The latest I have heard concerning the ongoing glyphosate saga is that it will cause half our children to have autism by 2025, or something close to that, and other such hyperbole. Let me be clear, I’m not trying to defend Roundup in this post. To me, it is a tool farmers and home gardeners use and its benefits outweigh its risks. That’s it. I’m not in love with the stuff. I myself use Roundup, or more often than not, off-brand generic copies of Roundup to spot treat certain pesky weeds in my yard that are difficult to remove any other way, such as when they grow amongst thick, desirable ground covers or are otherwise hard to dig up. But suffice it to say, I am judicious with my use of Roundup or any other herbicide. So my sudden focus on the show’s segment about glyphosate was more about the mechanism of how hysteria spreads than the actual topic – if that makes sense (I hope it does.) My interest was piqued – so I watched. First they mentioned how The International Agency for Research on Cancer (IARC), an agency under the umbrella of the World Health Organization (WHO), recently reported that glyphosate could cause cancer in humans. It is important to note that never did the report state that it does cause cancer in humans. See this recent Round Up Risk and Assessment article in the New Yorker for more explanation of the IARC report and its implications. Unfortunately, to just say something could cause cancer really scares a lot of people who don’t have the science background to understand the mechanism involved, where the data came from, how the conclusion was reached and so forth. The first guest was Dr. Donna Farmer, a toxicologist from the Product safety Center at Monsanto. Her job is to study the safety of Monsanto products. Specifically, she has studied glyphosate throughout her tenure at the much maligned company. She calmly informed everyone that she was a mom too and stated that: “I’ve been a scientist at Monsanto for twenty years and this (glyphosate) has been the molecule that I’ve studied all of those years and I’m absolutely confident of the data behind it”. Seriously – this woman could be my neighbor. She isn’t some coy Monsanto lab rat cooking up poison. I have said many times in this blog that I tend to believe scientists because they are experts in their field, just as I believe my hair stylist, my plumber, my auto mechanic because they too are experts in their field. To be at the doctoral level in any discipline requires years and years upon more years of concentrated study, effort and dogged determination. It defies logic that after all those years of painstaking work to earn and keep current the highest academic credential, that a scientist would then make stuff up, or hide stuff, or tell bold-faced lies. Yes, even if this scientist works for Monsanto. What does one suppose she has done for the past 20 years in her lab? Research lies and conduct fake experiments? The whole everyone-who-doesn’t-hate-Monsanto-is-a-shill mentality belongs, in my opinion in the conspiracy theory hall of fame. I understand that, yes, there have been a handful of crazy, malevolent scientists out there throughout history and bad things have resulted. But for the most part I don’t equate science with crazy. Knowledge tends to set one free from the crazy – unless maybe one is mentally ill or something unfortunate like that, but I saw nothing in Farmer that would make me think she were anything other than a highly intelligent, skilled and productive citizen. Bottom line: Scientists who work for companies are hired because of the knowledge, skill and expertise they can bring to their job. So Who is the real expert? Well, then of course the segment had to feature the opposing side, the side that is telling you your sons and daughters are going to all get autism and any and all disease by such and such a date due to glyphosate. None other than Jeffrey Smith of the Institute for Responsible technology came on the show. He popped up on screen and gave his spiel about the evils of glyphosate. Anyway, vast amounts of unsuspecting folks, including yours truly back before I knew better, have listened to and been highly influenced by this guy and to be sure, most of the audience and even the other cohosts were buying it…. 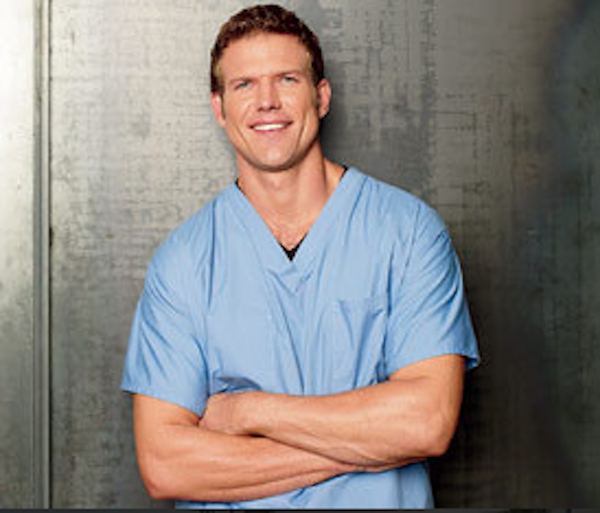 Until Dr. Travis Stork changed direction in the segment by saying he came from a family of farmers and that they all use herbicides and the subtext appeared to me to be that he was absolutely fine with that. He talked about balancing the benefit versus the harm, adding that there need to be more definitive studies done. In short, what I gleaned form his comments was that he wasn’t having any of the hype, even as perhaps his cohosts were. Because of Dr. Stork’s comments, it was the most even-handed treatment of a controversial topic I have yet to see on daytime television. Good for you Travis! He was the one voice of reason on the show. He admonished everyone to go read the studies for themselves. Be informed. In the broader scientific community, junk science studies are dismissed as trash instantly because of lack of data, lack of repeatability, major problems with methodology, the fact that these types of studies are often published in journals that accept any ol’ study as long as the fee gets paid – and other glaring reasons. Only the scientifically gullible, the irrational, the conspiracy theorists, the fear-mongers buy that Seralini, Seneff, or countless other junk study authors are legitimate – and then off they go on the internet or other media – making a big fuss and attracting more folks like themselves. But during this episode of The Doctors, there was rationality in the form of Donna Farmer and Travis Stork. I know we all care about health. I just wish common sense could prevail. We don’t have to spend half our income on organic food, or maintain a constant vigilance about every last bite that goes in our mouth for fear we are being harmed in some way. A basic, albeit old-fashioned understanding of nutrition goes a long way: Choose a variety of foods from all the groups. Don’t drink too much soda or eat too many sugary desserts. Don’t smoke. Temper your drinking. Pre-packaged snacks, meals, dishes and desserts are quick and easy but likely full of a lot of undesirable ingredients that could be avoided if you made the food from scratch using fresh ingredients as much as possible. Common sense stuff – all of it. Here are links to the segment on The Doctors that aired on Monday, 5/19. Does Popular Herbicide Cause Cancer? ply not possible at the moment. Oh No! GMOs Are Going To Make Everyone Autistic! I particularly like this second installment of the myth series because it speaks to the extreme damage done to the public perception of GMOs by just ONE collection of photos. Here it is to the right, poor rats with tumors bigger than their heads. Who could forget them! Dr. Folta rightfully shames Giles Seralini , the purveyor of the now infamous and retracted study of a Roundup and GMO corn diet that was said to cause a group of rats to grow grotesque tumors. Seralini just conveniently forgot to mention that the control group, the group NOT fed GMOs and Roundup, also had tumors. Why? This species of rat is PRONE TO GROW TUMORS. Now, I’m no scientist of course, but even I can see the gross misuse and misrepresentation of the scientific method in this deplorable study. I admit that at first, I was horrified by it too, like anyone would be, but even my son, fresh out of two years of IB chemistry and biology, said upon hearing my account of the study, “what about the control group?” Once I pondered the fact that the control group had been omitted, I remember thinking why didn’t Seralini do a better job? And the omission of the control group was just one of the many flaws in the study, though it was perhaps the worst one. It was disappointing to say the least. And furthermore, this was before I converted to pro-science, back when I, myself, was still anti-GMO. This study did more to dissuade me that GMOs are dangerous, frankly, and was one of the several mini-moments of truth I experienced as an anti-GMO blogger that started to wear on me and make me question if I was in the right camp. It was, as many of you know, Folta himself who, via an email exchange with me a few months after the study was published, hammered the final nail in the coffin of the anti-GMO movement and convinced me, through sound reasoning, good information and evidence, that I had indeed chosen the wrong camp. But as Folta says in the video, this one graphic, this iconic meme, has nonetheless elicited fear in people all over the world and is still doing so. A lot of damage has been done here. And like he says, it is truly sad that so many people are needlessly frightened. See the two parts in reverse chronological order here and here. Even from the outside looking in, if you hang around the dubious controversy over GMOs long enough, you see things come full circle time and again – the most recent iteration being the retraction by the Food and Chemical Toxicology Journal of the now infamous tumorous rat study by Giles Seralini, first published in November, 2012. This study was released right around the time I was in full swing as an anti-GMO spreader of nonsense. I was two months into it, fresh from Genetic Roulette and a dozen Ronnie Cummins articles. Heck I even gave Organic Consumers Association $50. Oh yes the rats got to me. Oh yes they did. How could they not? The iconic image became the poster child for the anti-GMO movement. The world was ruled by greedy corporate bastards who were poisoning the people who didn’t know better. As for the people who did, well they were all under gag orders, and the ones who dared to speak up, Seralini being one, well, they were immediately disgraced by the science community, all in the name of money. ♦ some or most of the common diseases of our modern day society . ♦ the great silencing and intimidation of the ‘real’ plant scientists, the ones who publish singular papers in pay-to-publish journals, papers showing the horrific dangers of GMOs, papers with no follow-ups and often little or no data, papers that the tens of thousands of ‘shill’ scientists all around the world discredit. P U H – L E E E Z ! I am on this tirade today because when I saw those unfortunate rats one year ago, I was deeply affected by the image . It is one of those anti-GMO memes that etches itself in the minds of people and informs all thoughts afterwards. Even if the study goes completely up in flames, which it looks like it is in the process of doing, the damage has already been done. If Seralini’s study has any validity to it, this is what I would like to see happen. Do it again. Repeat the study but do it right this time. Make it beyond reproach by your science brethren. Instead of whining and screaming ‘foul’ to your lawyers, get some real data and show the world. Isn’t it pretty telling that this is not his course of action, that he is indeed whining and screaming foul? See Séralini Threatens Lawsuit In Wake Of Retraction Of Infamous GMO Cancer Rat Study. As an outsider looking in, one thing I have observed over and over again is that good, credible, cutting edge science draws a crowd. Who wouldn’t want to be a part of a study with such monumental implications? Seralini should have molecular geneticists, crop scientists and plant biologists from far and wide breaking down his door to get in on this. Addendum: I am not so naive as to think this ‘study’ will go away. Troops will rally around their fallen comrade and preach ever so much more fervently. The conspiracy theory, the Monsanto white-washing of science, blah blah blah – all will explode among activists but this nugget of truth will still shine like a beacon. I feel I must be fair, fess up, and say that even when I first saw the Seralini study and its disturbing images, I was one part skeptical, albeit a small part. Obviously I must have been skeptical all along when I was anti-GMO or I never could have changed my biotechnology tune so abruptly as I did last April. I do remember thinking, well if GM corn is doing this to rats, why aren’t we all walking around with bulbous growths sticking out of our necks? That was one of MANY issues I had with the movement. See my last post, Interview with Green State TV. The first section of this post is a short continuation from My Conversation With a Scientist, Part One, in which I conversed via email with plant geneticist Kevin Folta, University of Florida. There was a piece of the conversation that I left out by accident and rather than adding it to the original post as an update, I thought it would be best to put it here as an addendum of sorts. We had been discussing the use of Bt (wiki) and glyphosate (wiki) – active ingredient of Roundup. These are two of the most familiar terms associated with GE crops. The general gist of the discussion was that eating Bt or Roundup Ready crops is as safe as eating any other kind of crop. Folta: One other thought… remember that plant cells are not that much different from other eukaryotic cells, animal or fungi. Plants that contain these transgenes do well. If they were harmful, the first affects would be seen in the plants. Even when you look carefully at plant proteins or genes, they are generally unaffected by the Bt or EPSPS*** products. When I started my Benevolent Side of GMOs series, I promised that I would address problems with the technology and I believe the remainder of this post begins to do so. I will start with glyphosate resistance and its related problems and issues. If there are facts that are excluded here or other points that need to be made, please comment below. I am a humble blogger more than willing to admit that I’m learning every time I post. Glyphosate Resistance. Anyone following the anti-GMO movement (which I used to do) has heard that word a lot, followed by an even scarier one: superweeds. My conversation with Folta now turns to this topic. Folta is honest here – and forthcoming with the realities. S4H: I read constantly of the presence of superweeds that are not dying with Roundup application, and that to counteract that, additional Roundup and more and nastier pesticides are used, leading to an overall escalation in herbicides/pesticides. What say you to that? Folta: There is truth in your statement about ‘superweeds’ mixed with some hyperbole. The fact is that there always were some glyphosate resistant weeds. Weeds are tough critters. In the case of glyphosate they either detoxify it or move it to a part of the cell where it does not interact with the EPSPS enzyme. These are natural models for glyphosate resistance. Problem one is that when you kill the other weeds with glyphosate, these move in and you can’t kill them. Farmers are seeing this. Let’s talk ‘superweeds’. These are the weeds that have gradually evolved resistance to glyphosate, developing the mechanisms of detoxification and compartmentation mentioned above. There are 20-some weed species that previously were glyphosate sensitive that now show some degree of resistance. This is a problem and it is growing. Coupled to Problem 1 above, eventually it will be a huge issue unless new steps are taken. A ‘superweeed’ isn’t so super. It is resistant to one herbicide. The next step is ‘pyramiding’ genes. You’ll see susceptibility to multiple herbicides that will be used in combination and that will be durable and effective. The downside is that you have to use two herbicides. The second is 2,4-D or dicamba. Both are much nastier than glyphosate, but both have been used for decades in conventional ag. Their use would be at lower levels and we understand them well– they’ve been studied for eons. Drift was an issue, but even that’s been resolved with new formulations. The upside is that if the odds of developing resistance to glyphosate or 2,4-D are one in a million, the odds of developing resistance to both are next to non-existent. They should have done this from the start. The issue of weed resistance is a huge problem. It is not GMO specific and many companies are proposing/testing new solutions. Some are just using glyphosate with new surfactants to it penetrates plant tissues more readily. There are other solutions coming too that use other adjuvants to kill resistant weeds with lower applications of herbicide. S4H: This is helpful but I find myself recoiling at the mention of 2,4-D and of course, I’ve seen it much maligned in many of the articles I’ve read. It is tied to Agent Orange, yes? Folta: 2,4-D. Yes, much maligned. 2,4-D is an herbicide that mimics a natural plant hormone called auxin. Auxin causes cell expansion and other processes in the plant. Basically, application of 2,4-D causes a plant to grow itself to death. We use it in tissue culture in small amounts because plants respond well to it and it is more stable than natural auxins like indole acidic acid. The reason we don’t use the natural ones to kill plants is because 2,4-D is slow to be destroyed by the plant. It sticks around and works hard longer, allowing smaller doses. I’m not thrilled with it only because of two main reasons. The first is that it is more toxic compared to glyphosate (which you can drink a glass of and nothing will happen other than getting acutely sick for a few hours). 2,4-D can have chronic effects from exposure at occupational levels and probably is not the best stuff for the critters that inhabit corn fields etc. Glyphosate, no big deal. Now they have to use both (I think the mix is called Enlist, by Dow). Dow has made the corn with “stacked” traits, gly and 2,4-D resistance. All that said, it has been used for 60 years in conventional ag. To me, the idea of transgenics is to limit and cut agricultural inputs (like herbicides) so this is moving in the wrong (but necessary) direction. The good news is that there is next to no chance of any resistance developing to the mix. Agent Orange. Again, a warning bell should go off in your head here. This is exploitation of a grim time in U.S. history when chemicals were used as weapons and people died and still are affected. As I mentioned before, 2,4-D and its cousin 2,4,5-T are potent herbicides. In combination they are super effective. The two were sprayed as “agent orange” to defoliate jungle grown in Vietnam and SE Asia. Many people got huge exposures. 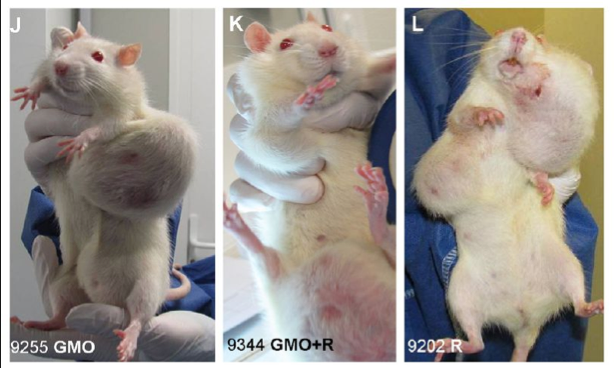 Horrible images, horrible illness… and the anti-GM movement uses this imagery to scare people about 2,4-D. It is fear again, and scaring people over educating them is unacceptable to me. The lynch pin here is that it was not 2,4-D or 2,4,5-T that made people ill, at least not the primary cause. The primary cause was a dioxin (back then no big freak out) that was in the mix from the manufacture of 2,4,5-T. That was the culprit. So 2,4-D was in Agent Orange, but it was not the component that caused the problem. Once again, the facts are ignored to exploit gruesome imagery. You’ll even hear people say that they are going to “dump agent orange on corn” which simply is not true. So there you have it, another case with a seed of truth expanded into something untrue. Half way through this I remembered that I wrote a blog on this a few years ago. It’s here, and contains similar info in more detail. So there it is: an honest, rational discussion of glyphosate resistance and what is being done about it. Again, I invite you to add your comments below if you feel something is missing in this discussion or if you have general input. Here are a few more links that I believe help to fill out this topic, starting with a very recent NY Times Energy and Environment piece covering recent regulatory setbacks for crops containing 2,4-D and dicamba. Apparently, the word superweed is not part of the vernacular in ag circles. Read Can We PLEASE Stop Using The Word Superweed? For a very different perspective on organic farms, I recommend this post: Six Reasons Organic is NOT the most environmentally friendly way to farm. I promised that the science was coming and here it is! If you just came to Sleuth4Health or haven’t been here for awhile, I recommend that you read the last two posts so you know what is happening with my new series called The Benevolent Side of GMOs. I begin with two questions I posed to Dr. Folta early on in our emails, very basic questions about bacillus thuringiensis (Bt) followed by glyphosate, the active ingredient in Roundup which is used on Roundup Ready crops. I believe these to be some of the most maligned, detested and feared words in the anti-GMO vernacular. In the anti-GMO world we hear that Bt splits open the guts of insects and that it could very well be doing the same to us when we eat food from a Bt crop – causing, among other things, leaky guy syndrome, which could in turn be a reason for the increase in life-threatening food allergies, especially among children. These food allergies can be pretty scary and this is where I do very much sympathize with parents who have an allergic child, and why Bt might be thought to be a culprit, even if it is not the real culprit. I teach in a public school and there are several staff members in the building who have EpiPen training (epinephrine is used to treat or avoid the onset of anaphylactic shock). If a highly allergic student eats something they shouldn’t, we must be ready. I get stacks of documents about these student allergies every year. They have increased dramatically even in the last decade. S4H: How is Bt active in insects but not in humans? What if the ‘dose’ in humans were extrapolated to mimic the same ratio the corn borers get when they bite Bt corn? Folta: This is the absolute miracle of Bt. It is a small peptide, a little chain of amino acids. In order to be active it has to be cleaved by an enzyme (which only certain insects have). Once active, it binds to specific receptors in the larval gut. The receptors bind like a lock and key. It is remarkably specific. Once bound, the receptors cluster and form a pore. The pore allows contents of the gut to mix with the body cavity and the insect larvae dies. Humans do not have the receptors at all. Even if they did, the mechanism is so specific that the Bt peptide that affects moth larvae does not work on beetles, and vice versa. It is amazingly specific. In the guts of humans or other animals the Bt peptide is just another peptide. It is digested in the stomach and broken down into amino acids. Even if the dose were increased to straight Bt, nothing would be expected to happen, at least in terms of how it affects the larvae. Bt has been used in organic cultivation for a long time and has been studied in depth for over 60 years. No evidence of harm on animals. Reports that claim this are usually just in tissue culture cells, which are not a suitable proxy for an animal system. Ok, so now we move on to the glyphosate, or Roundup question. In addition to learning a bit about how Roundup Ready crops work, I received a bonus fact which really surprised me. The crop duster, (mentioned in this question, and also on my “Why Do I Care So Much?” page) which I mistakenly thought was dropping Roundup all over a corn field, was likely dropping a MUCH worse pesticide. And now the shocker: it would not drop pesticide on to a Bt corn field because it would not be necessary. Wow! 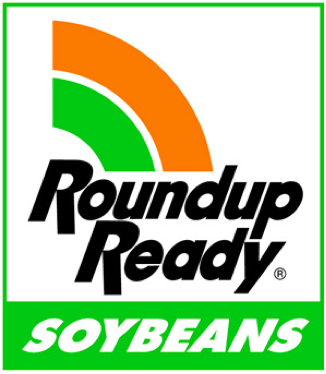 S4H: For the sake of my question, I’ll assume that eating RR (Roundup Ready) soy, corn, cotton, rapeseed (canola), all of it, is safe. But how is it that the application of Roundup on the crops is also safe? I’ve been next to an Iowa cornfield when that stuff came pouring out of a crop duster and it’s some pretty strong stuff. My breathing got shallow because my lungs were super irritated. My eyes burned… and hours afterward, the Roundup “scent” still hung in the air and I still experienced irritation and found it uncomfortable to breathe deeply. I can’t imagine living next to that. I was just passing through. Folta: That’s interesting. Roundup is usually applied by tractors because specific applicators are used to limit dispersal. You want the active ingredient evenly applied on the soil. It is applied early when seeds germinate and then maybe a few weeks later. The idea is to get crops to out compete the weeds. It is not applied during the food production window. The stuff is pretty safe too. Sure, the difference between medicine and poison is dosage, but all things considered it is relatively inert. It works again in a specific fashion. It binds an enzyme in plants needed for amino acid synthesis. If the enzyme is blocked, no proteins, plant dies. Again, this is a specific interaction. The enzyme (call it EPSPS) has been extensively studied for its interaction with glyphosate (Roundup’s active ingredient). Bacteria have an enzyme that does the same exact thing in amino acid synthesis– but it does not bind glyphosate. You see where this goes… the bacterial one is installed in plants. It does the same job, but is unaffected by glyphosate. The plant lives through the chemical treatment. Pretty cool. My guess is that you got a lung-full of a pesticide. The Neonictinoids, organophosphates, etc are just awful. In any conventionally-grown corn field, during ear-set the spray planes go back and forth to the airport, dumping thousands of pounds of pesticides on to corn while it is on the plant. It is just awful to see. Just seeing this makes me wonder how any environmentalist could hate this technology. 5/5/2013 update: The website biofortified.org includes a subheading called GENERA, which stands for GENetic Engineering Risk Atlas. This is THE place to go for mainstream science around the topic of GE plants. Both public and privately funded research is included. Down the Pike: My Conversation With a Scientist continues. Watch for Scientific Reports for Dummies. My whole impetus to start Sleuth4Health came after I strolled aside an enormous corn field along I-80 in Iowa a few summers ago. It was being crop-dusted at the time. On a road trip from Oregon to Indiana with my husband and daughter, we had pulled into a rest stop and just wanted to go for a pleasant little walk. It was the most eye-opening walk I’ve ever taken. At first, I was enthralled as I watched the low flying airplane dumping liquid onto the massive field. Memories of handsome Steve the crop-duster from Petticoat Junction flooded my brain until… my breathing got shallow and I was overwhelmed by a strong chemical odor. My eyes, throat and lungs all became irritated and frankly, I couldn’t wait to get out of there. See Sleuth4Health: Why do I care so much? for the full narrative of that experience. Imagine what untold horrific afflictions befall anyone who lives within feet of a gigantic Roundup Ready soy crop operation, as is the case of the poor Argentinians described in the following article from Sustainablepulse.com: Roundup Blamed for Argentinian Health Crisis. Are GMOs the reason the bees are disappearing? Bees are dying. Whole bee colonies are disappearing and dying worldwide and in record numbers. Here is a report from the Yucatan Times, exposing the fact that when Monsanto’s Roundup is heavily dumped on Monsanto’s Roundup Ready crops, nearby honeybee colonies are dying – in just this one case – 15oo colonies to be exact. (Aside from killing honeybees, there are other equally devastating consequences of GMOs in Mexico.) Read article here. What scares me about GMO crops even more than eating them is what they are doing to life on the planet – any and all life. Seeds, bugs, plants, animals, marine life, people. Honeybee Colony Collapse Disorder – a separate but related problem – is being studied and multiple causes are implicated, but could it be as simple as GMOs and the bevy of toxins associated with the technology?